Established in 2006, we’ve worked for over a decade in Commercial Real Estate. We’re committed to creating and maintaining successful relationships with our clients. With a team of experienced brokers and our extensive financial marketing plans, we’ve helped our client's achieve both their short-term and long-term goals. If you’re interested in buying, selling,or leasing commercial property, we’re here to help you. We understand commercial investments, property management, socially responsible investing, and philanthropy. 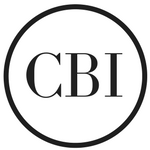 At CBI, our clients are always our top priority. With extensive marketing and financial plans, we successfully help our clientele achieve both their short-term and long-term goals. CBI offers a wide range of services to Los Angeles and Orange County. From landlord representation to property analysis and debt placement, you’ll work with a specialized agent for your specific need. Keep up to date with the latest in Real Estate News, Market Trends, and Advice. CBI regularly shares informative articles and videos to keep you engaged and informed on what is happening the marketplace. Find great creative space in Los Angeles. We will walk you through the search & transaction process and negotiate strongly on your behalf. We represent many entertainment and hospitality clients and offer unparalleled local expertise working with the owners, landlords and tenants of restaurants and nightclubs for the location sites, acquisitions and/or disposition. Commercial Brokers International has over 30 years of experience with multifamily properties. We provide you with the best possible return on your investment and the most ideal lease setups in Southern California. Our agents understand what buyers are looking for in industrial spaces and market a seller's property to its fullest potential. Sell your investment fast with our experienced CRE team. We negotiate the property for the highest possible return with strategic targeting of buyers and investors. Investment types include but are not limited to Free Standing Retail, Investment Grade Single Tenant NNN properties, and Local or Regional Shopping Centers. Commercial Brokers International has over 30 years of experience in office commercial real estate. Whether you are buying or leasing, we'll find you the best possible office in LA County to suit your needs. From shops, to restaurants, to mall space, we have the market knowledge to close the best possible deal for sales and investments. We also can assist small and medium sized businesses in Southern California to find the ideal storefront space for rent and negotiate reasonable terms of the lease.